Remember your mother’s wedding (okay, maybe you weren’t there, but she must have told you all the juicy details)? Particularly the bit about saving the top tier of the cake. That’s just one tradition about wedding cakes that appear to be reviving. The idea is that you serve the top layer at the christening of your first-born. Provided you’re having any children (if you haven’t yet had the conversation, now might be a good time). Even the latest big royal wedding that will, no doubt, influence countless weddings to come saw Kate and William following tradition and putting aside not just one, but the two top tiers of their wedding cake. But then they did have eight (tiers that is). Of course, if you want to avoid the ‘chat’, you can join other couples and save the top tier for your first wedding anniversary, served up with bubbly. It is also tradition for the cake to be a fruit cake with a marzipan frosting, and usually with white icing. This is principally a British tradition, although the Scots and the Irish follow suite. If you’re German then the tradition is sponge cake, whilst the French do something called croquembouche that sounds like heaven – pastry filled with cream and coated in caramel in the form of a pyramid. The Chinese put Will and Kate to shame – at least 10 layers called a lapis surabaya, representing the many stepping stones of a successful marriage. Other traditions include lighting the unity candle, two taper candles and a pillar candle lit by both tapers simultaneously – the uniting of two individuals and families. 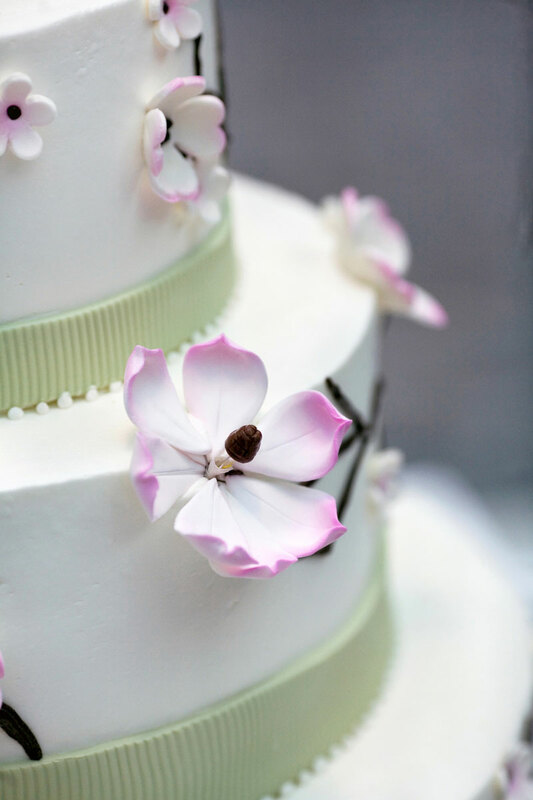 And the wedding cake cutting ceremony, which began as pretty symbolic, is considered the first task that the bride and groom perform together as husband and wife. And it’s up to you whether or not you want to include the Yorkshire tradition of throwing the wedding cake plate out of the window as the bride is on her way home, or the tradition for your guests to put a piece of the wedding cake under their pillow to ensure a future partner.